Sofa of 186cm width, contemporary design. Huge range of colours and materials to choose from as well as matching armchairs and poffs. in white, white - grey and natural - white. 2 Styles available and 3 colour options. 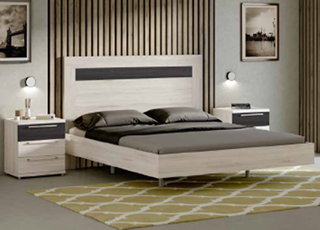 There are many matching pieces including chest of drawers, mirrors and wardrobes....contact us for details. 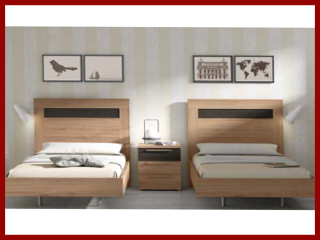 3 headboard colour options available - white - wood, white-grey, wood - grey. See Extras page for additional items. Click Here to open apartment furniture installations. Click Here to open villa furniture installations.